Majestic and mysterious, inspiring and amazing imagination: there are not enough words to describe the beauty of this miracle of nature — Halong Bay. Try to imagine more than three thousand islands rising from the emerald waters of the Gulf of Tonkin — and your imagination is just a half of beautiful and breathtaking views of the bay. 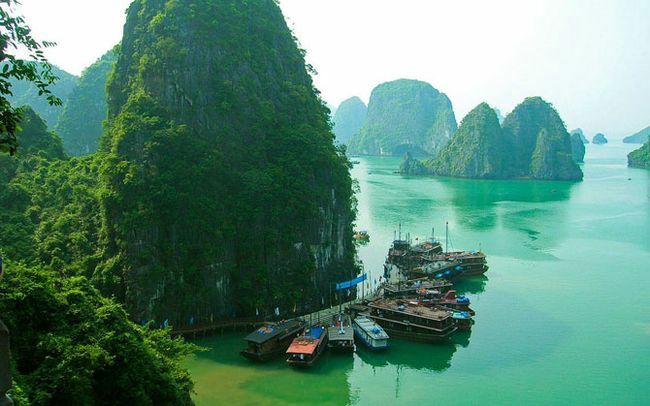 Halong Bay is a perfect work of art, a priceless collection of unfinished sculptures, created by hands of nature. In 1994, this place has been taken under the protection of UNESCO, with all the islands, full of wild beaches, grottoes and caves overgrown wilds slopes, flowing into the azure Tonkin. Most of the tourists are going on a cruise around the bay. They begin their walk to explore caves or trekking on Cat Ba Island National Park. In addition, it is could be a good idea to spend a day at the beach — convenient for coastal bathing in excess, but the best one is the area Lan Ha Bay on the island of Cat Ba, where there are quiet sandy stretches of land. Halong City is the main gateway in the world of Halong Bay. Speaking about the bay and its islands, it’s easy to pronounce the word «paradise», to respect the place, for the most part, turn up noses and say «hell of a place.» Local investors are not willing to invest their money in the city’s infrastructure, however, it did not stop much of determined to explore every stone of Vietnam and Ha Long tourist. 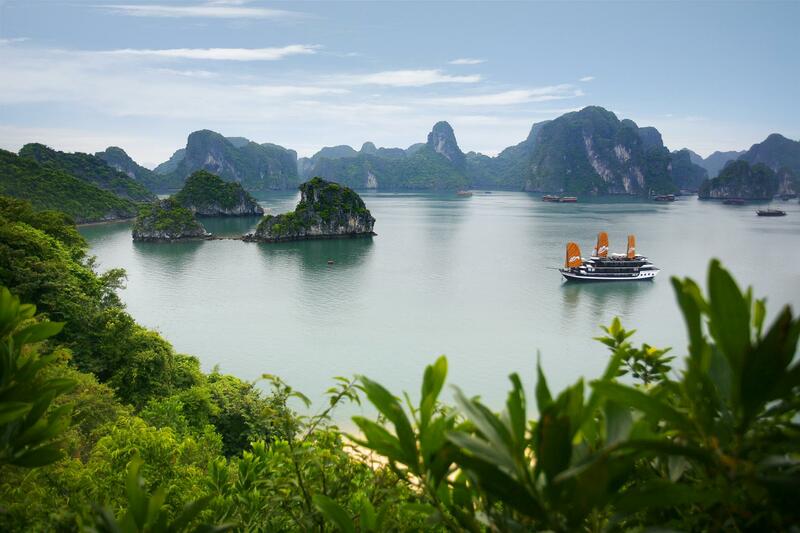 The «number one» of tourist attraction, in the north-east of the country, Halong Bay has no shortage of travelers throughout the year. However, from February to April in the Bay the weather doesn’t inspire — the wind blowing, and often drizzles fine penetrating rain, which affects the way and visibility. 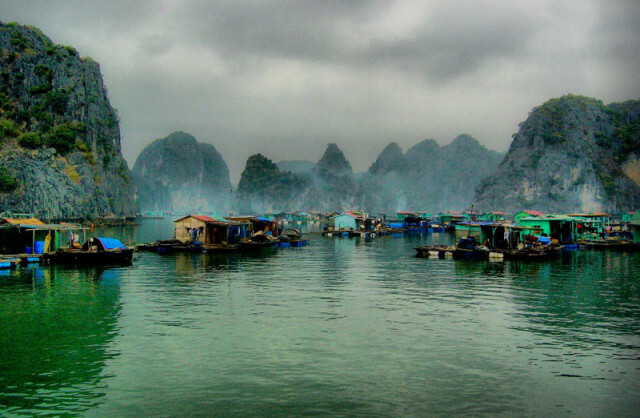 Halong Bay is full of myths and legends, in which the Vietnamese people honestly believe with its inherent bigotry. For example, the name of The Bay is translated as «the place where the dragon descended into the sea». Legend says that the islands of the Gulf have created a huge dragon who lives in the mountains. Having decided to leave its refuge, and fly to the coast, it touched the tail of the valley, and it pulled down the cliff until plunged into the sea the rose and flooded Halong, leaving on top only a bizarre rock formations — the island. Today the dragon in all sorts of shapes and images has become a popular souvenir, which locals sell. Also are priceless coral and shells, stalactites and stalagmites of the caves, as well as ashtrays, rings and other small things made of stones found in the territory of Ha Long.